Wilson is an incredibly loving and affectionate cat. If his friend Reagan is getting attention, Wilson will be right there asking for his fair share. 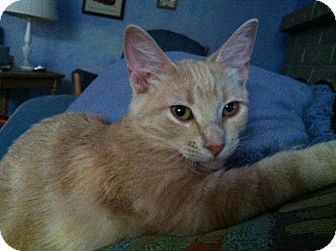 He is neutered, tested negative for FELV/FIV, litterbox trained and current on vaccines. Home tested, family approved! All our cats stay with foster-care volunteers who have a chance to get to know their personalities while providing TLC. Contact the Litter League at 602 740 8805 to come see this great kitty.